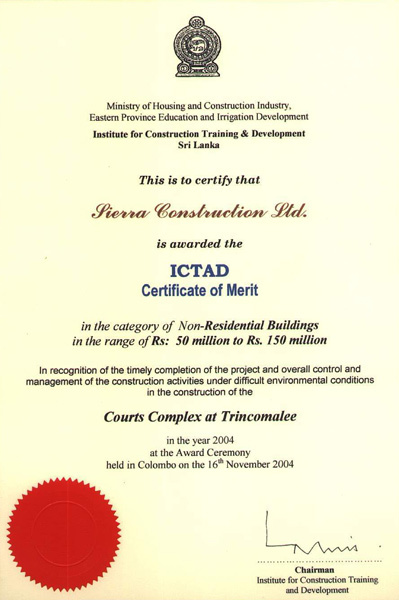 ICTAD Certificate of Merit in the category of Non Residential Buildings in range of Rs. 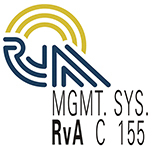 50 Million to Rs. 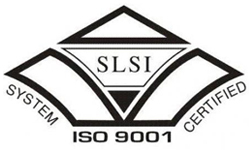 150 Million in the Recognition of the very good documentation maintained the Systematic controls practiced, the quantity surveying Principles adopted and the general quality of engineering aspects of the Superstructure in the Construction of the Commercial Centre at Bandarawela. 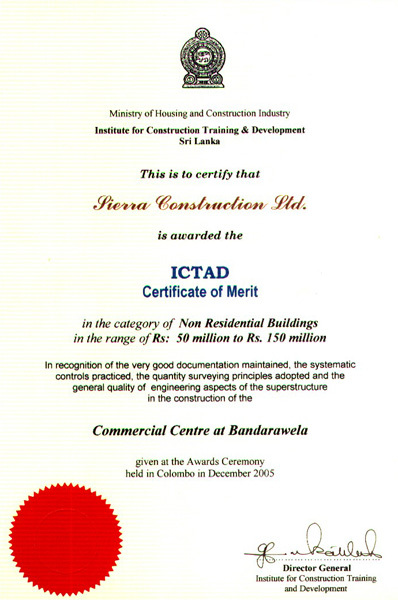 ICTAD Certificate of Merit in the category of Non Residential Buildings in range of Rs. 50 Million to Rs. 150 Million in the Recognition of the timely completion of the project and overall control and the management of the construction activities under difficult environmental conditions in the construction of the courts complex at Trincomalee. 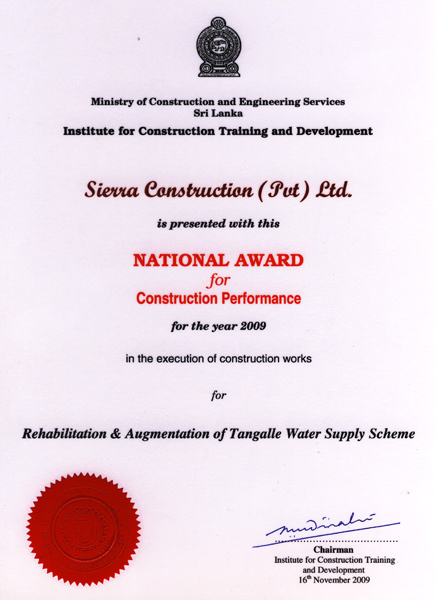 Sierra Construction Ltd is presented with this National Award for Construction Performance for the year 2009 in the execution of construction works for Rehabilitation & Augmentation of Tangalle Water Supply Scheme.